Miniatures offer plenty of visual appear, but the task of collecting enough figures for play can seem overwhelming. 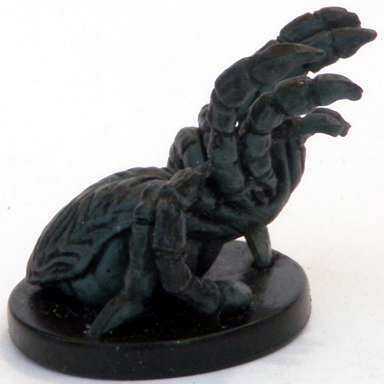 Fantasy games like Dungeons & Dragons and Pathfinder include hundreds of monsters, and then most encounters require duplicates. 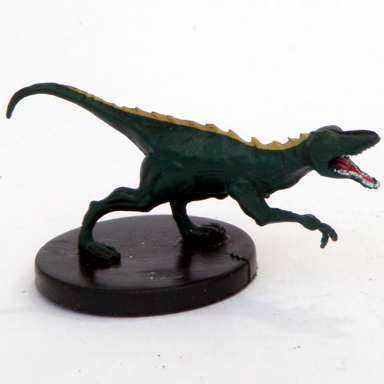 Despite all the possible monsters, you can add miniatures to many encounters by collecting figures for a few, common foes. 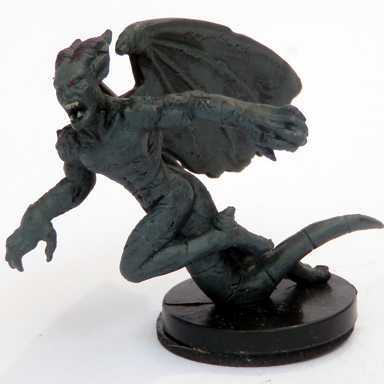 For the price of grand, expensive figures like Tiamat and Orcus, you can collect enough cheap figures to power about a third of your encounters. Unless you want to adopt a new hobby painting miniatures, I suggest building your collection with plastic, pre-painted miniatures. Instead of opening random boxes, buy your collection as singles on the secondary market. The secondary vendors open cases to chase rares that command high prices, then they sell the dull commons at reasonable prices. 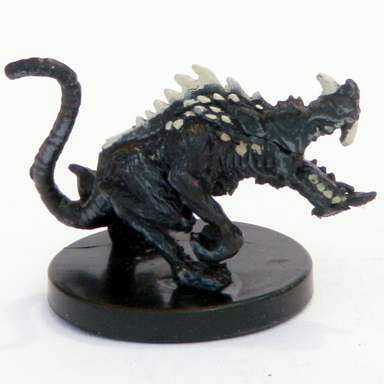 You may never play that pricey chimera or balor, but that kobold will see plenty of time on the table. A few types of enemies appear very frequently in fantasy adventures, so you can fill lots of encounters with just a few figures. The most-played figures represent evil humans and a few low-level foes. In “11 Most Useful Types of Miniatures,” I offered a list that included many of these. For this post, I present an updated list of the most useful types of miniatures. The most useful figure of all can appear as a thug or bandit in countless encounters. These types typically carry a simple bludgeon. 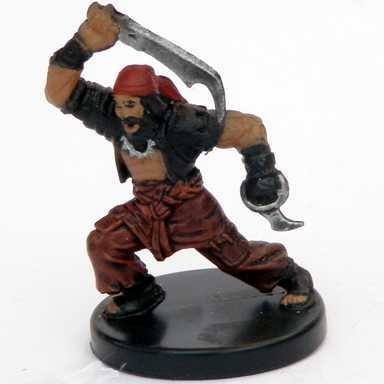 My favorite tough guy appeared as the Human Thug in the Harbinger miniatures set. 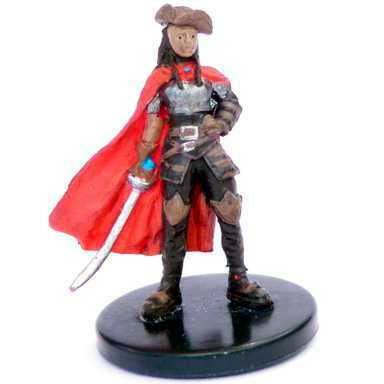 The thug’s shiny, expensive armor doesn’t suit a ruffian with a club, but until someone makes a bandit who spends less time polishing, I’ll keep packing these figures with my dice. Not every criminal element favors blunt-force trauma. For thieves and assassins who prefer knives, I like the Human Rogue. Perfect for an encounter it a dark alley. As soon as the adventure reaches the water, the thugs become pirates. For years I relied on the Cloudreaver for the swabbies and the Defiant Rake for commanders. The Pathfinder Skull & Shackles miniature set brought and abundance of pirate riches. 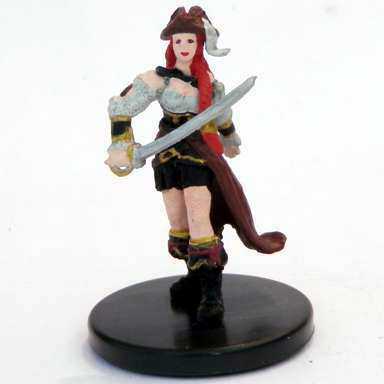 Pirates appear so often that all these figures find a role on the table. Every tyrant and corrupt official needs guards to keep power, so PCs will tangle with soldiers almost as often as thugs. 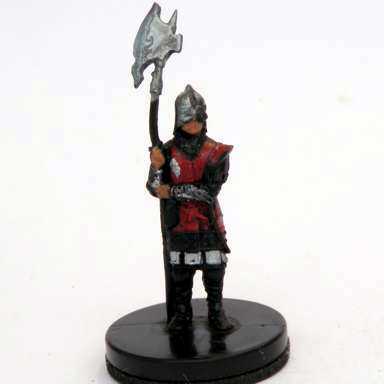 In fourth edition, the typical guard wielded a halberd, making the Human Town Guard a fit. For a sword-wielding version, I favor the Watch Officer. Wise soldiers shoot from the walls, so I wish some figures looked like a uniformed guard aiming a ranged weapon. 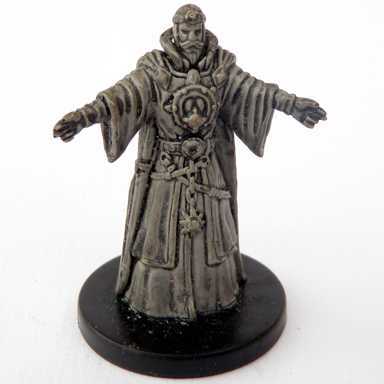 The Cleric of Syreth fits best; he just seems a bit too fancy. The Human Ranger also fits, although he seems a bit too woodsy. In the early days of dungeon adventures, no one worried about how dungeon dwellers reached food or water or an exit. Now if you stock a room with a dragon who is too big for the doors, you will lose your game master’s card—after your players stop laughing at you. This leads dungeon builders to fill rooms with creatures that survive on nothing. Skeletons and zombies make a perfect threat for a sealed dungeon, so they appear constantly. The Harbinger set included my favorite zombie. Its posture suggests a shambling gait and its exposed gut looks suitably gruesome. 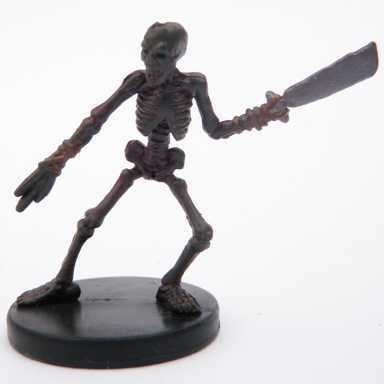 The skeletons guarding some ancient crypt shouldn’t sport polished armor, so I like the unarmored, Boneshard Skeleton. 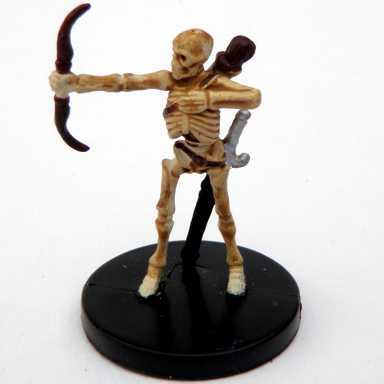 Skeletal Archers balance encounters with ranged attackers. To dungeon designers, elementals and undead provide the same advantage: Neither type needs food. Elementals appear frequently because they pair interesting attacks with evocative flavor, plus they work at many power levels. 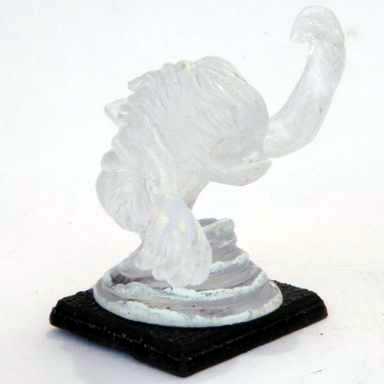 The first medium-sized elemental figures came molded in opaque plastic. The earth elemental looks like a brown Thing. 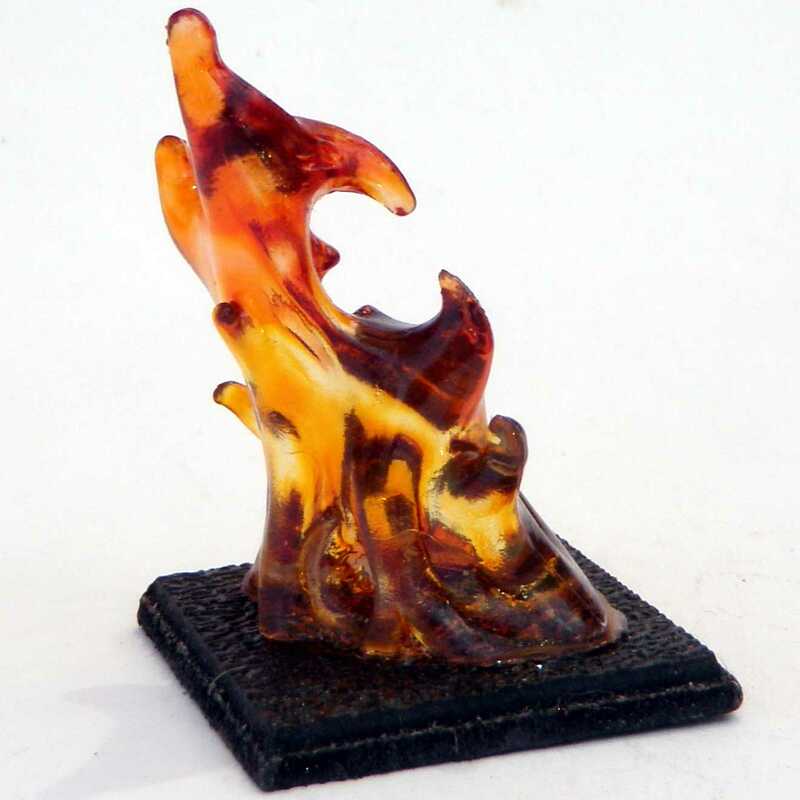 Although the water and fire elementals hardly look wet or fiery, they’re recognizable. 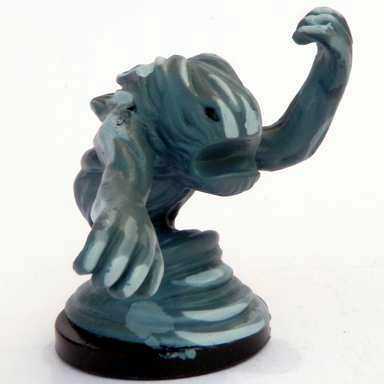 The slate-gray air elemental looks like a melting fish-man. 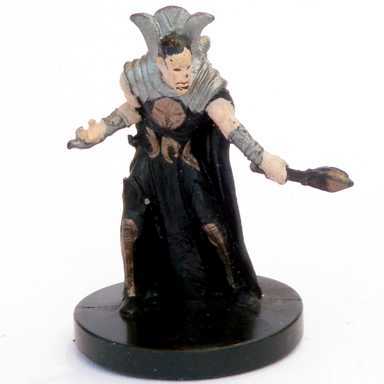 It ranks as the worst D&D miniature ever. 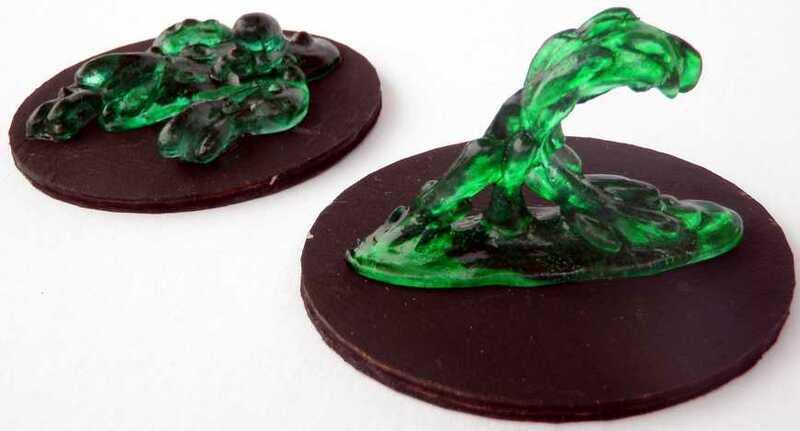 Later, the Heroscape game redid these air, fire, and water elementals in translucent plastic. Three of these figures became favorites. 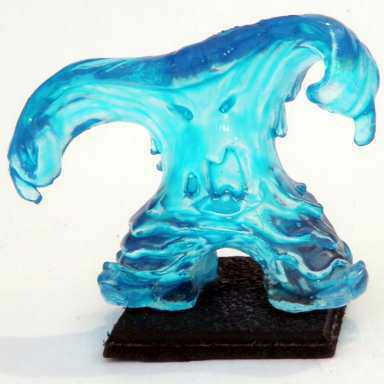 No other water elemental looks as wet; no other fire elemental as hot. Sadly, cloudy plastic fails to redeem the melting fish-man. The Heroscape bases are too big to fit a 1 inch squares, so I snapped the figures off and glued them on smaller bases. Alas, Heroscape ended production years ago. 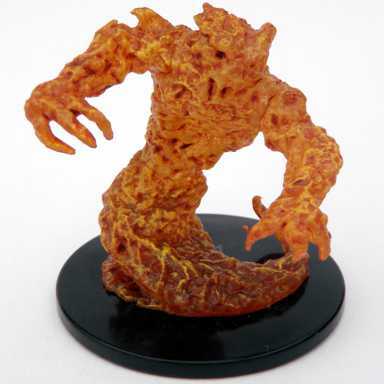 For medium elementals, look to the Pathfinder Battles Shattered Star miniature set. The fifth-edition Monster Manual only presents stats for large elementals. 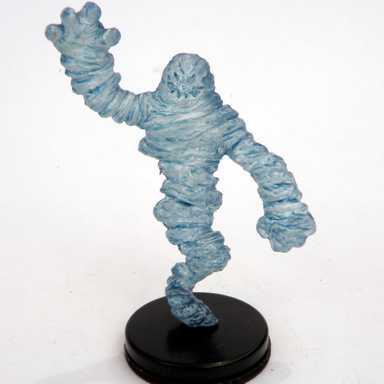 The Pathfinder elementals stand tall enough to double as large, or buy large figures in the Elemental Evil set. 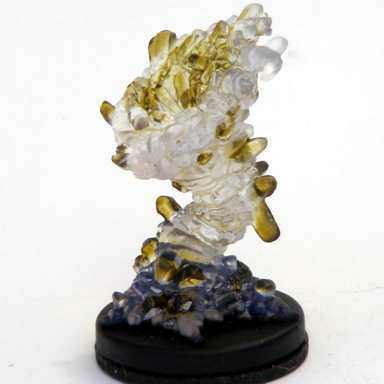 Ideally, I want a medium air elemental that looks like a whirlwind and can double as a spell effect. The Shardstorm Vortex comes close except for the dirty wash representing shards of stone. 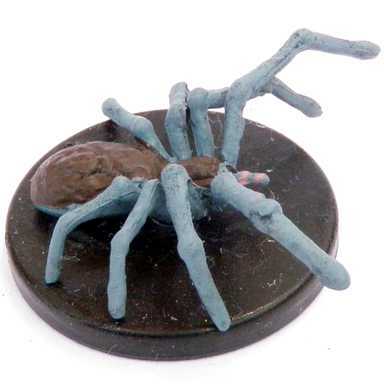 In a fantasy game world, rats, snakes, and spiders make a common foe. Dungeon designers can add them without food-chain questions. Unlike charismatic beasts like wolves, no players want to befriend them. So far, no rat figure earns my endorsement. The D&D miniatures line hasn’t produced a rat that looks much like a rat. Meanwhile, the Pathfinder Dire Rat towers over halflings and goblins. 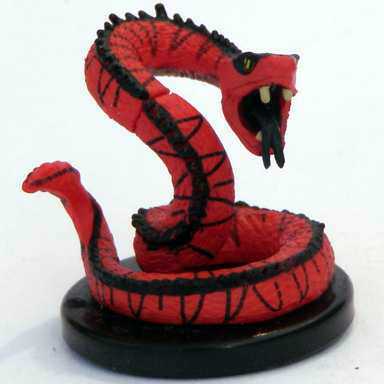 The Pathfinder line produced my favorite serpent, the Venomous Snake. For spiders, I like the Deathjump Spider despite its budget paint scheme. The Wolf Spider offers more color. How do you tell the difference between a ghoul and a wight? To me, they all look like angry dead things. One figure can fit ghouls, wights, and similar creatures. My favorite angry dead thing appeared as the Terror Wight. 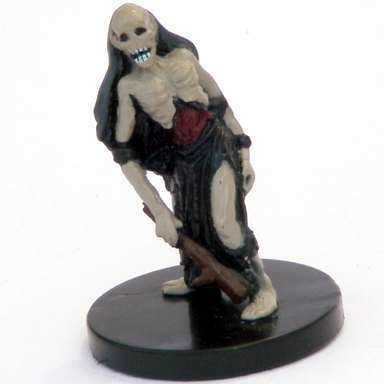 The Castle Ravenloft board game even made this sculpt a zombie, so it can play hungry or angry. How do you spot the difference between a ghost, wraith, phantom, specter, apparition, haunt, or other incorporeal undead? You flip the miniature and read the base. 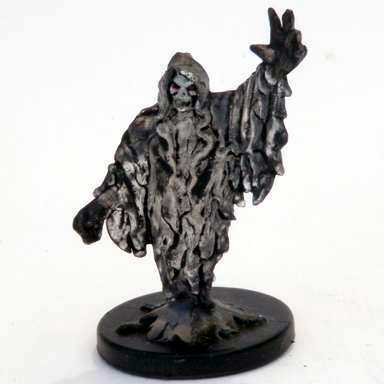 My favorite phantom is the Lurking Wraith figure, which ranks as the absolute best D&D miniature figure ever produced. 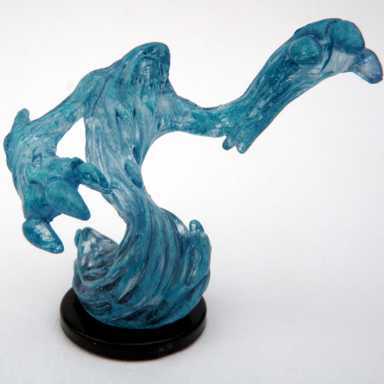 Not only does the translucent figure look great, but it works in numerous encounters at every level. Plus, the sculptor gave the figure a neutral expression, so it can appear as a friendly ghost without provoking an immediate attack. 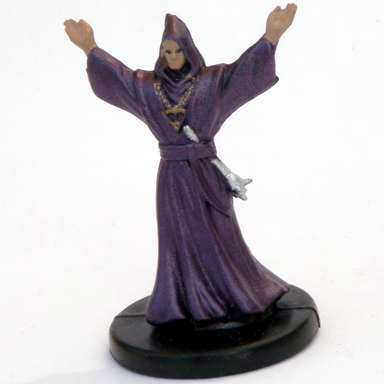 Plenty of miniature sets feature lichs and other evil wizards, but more adventures include evil spellcasters that rank below dark lord. I want them to look evil, but without skeletal faces, crowns, and so on. So I like how the Grim Necromancer looks nasty without appearing poised to explain his plan to kill you all. Bwa-ha-ha-ha. After Horde of the Dragon Queen and Princes of the Apacolypse, I’m ready for a 5-year break from evil cults. Nonetheless, someone has to join the ritual to free the demon god. 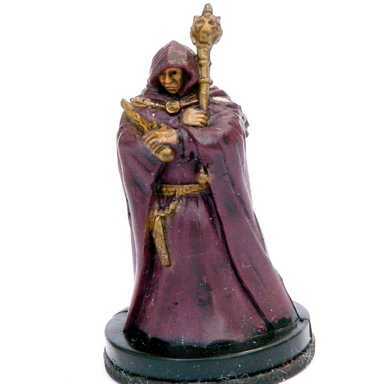 Plus cultist figures can double as wicked spellcasters. The detail painted on the face of the Blood of Vol Cultist caught my eye. Someone at the factory should have gone to art school. Not every evil mastermind goes to wizard school, so adventures often feature black-knight types. 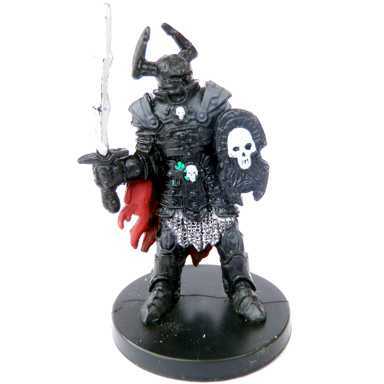 According to an online retailer, the Dread Guard ranks as the most popular figure in the Archfiends set. Most D&D games get played at the lower levels, which tend to limit DMs to pitting players against goblins or kobolds. For instance, the 4E and 5E introductory adventures featured goblins, while Horde of the Dragon Queen opted for kobolds. I suggest stocking both races of evil humanoids, and getting a mix of ranged and melee figures. They’re cheap. 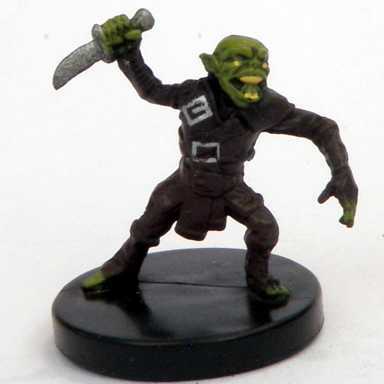 Pathfinder GMs should select the game’s distinctive goblins. 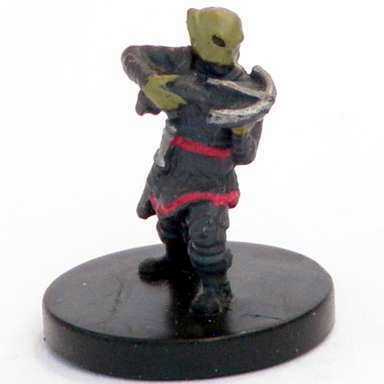 For D&D, the Goblin Sharpshooter and Goblin Cutter look best. 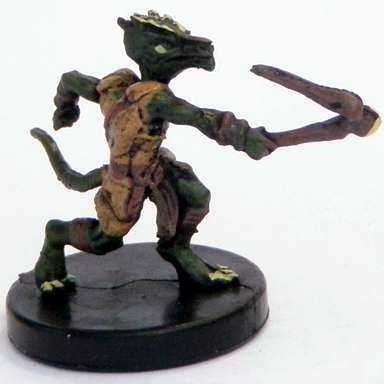 I like the Kobold Slinger, but I have yet to see a definitive kobold melee figure. In “11 Most Useful Types of Miniatures,” I listed 3 figures that no longer seem to rate as essential. I wrote: I love to toy with players’ metagame expectations. Every D&D player knows that statues invariably come to life and attack-at least when they have a miniature on the map. So whenever a statue appears on a map, I drop a statue or gargoyle figure on top of it. Inevitably, the players edge nervously around the potential hazard. It never ceases to amuse me. Does that make me a mean DM? In practice, animated statures appear less often than players fear, and most come in large size. 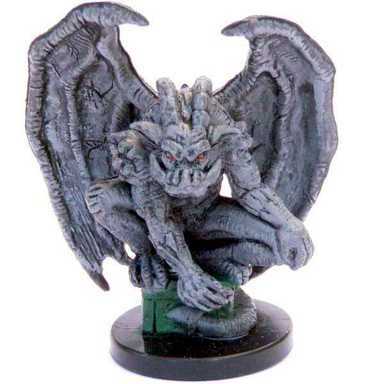 On the other hand, gargoyles see nearly enough play to merit a place on the list of most useful figures. 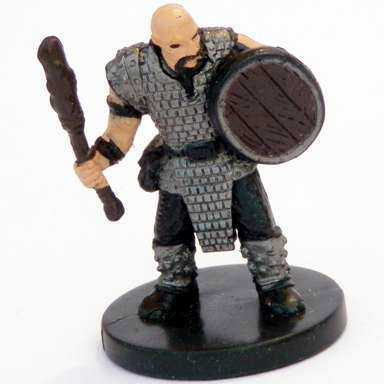 I wrote: I always carry a few miniatures suitable for player characters that I can loan out. 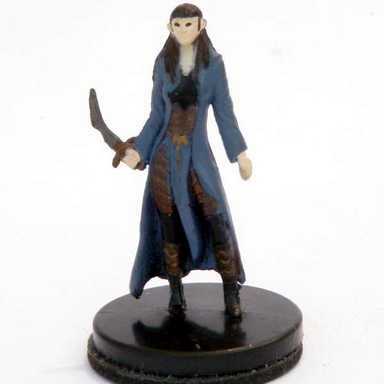 Players borrow this Elf Warmage more than any other figure. Plus, she often finds work as a patron, bystander, or fey villain. 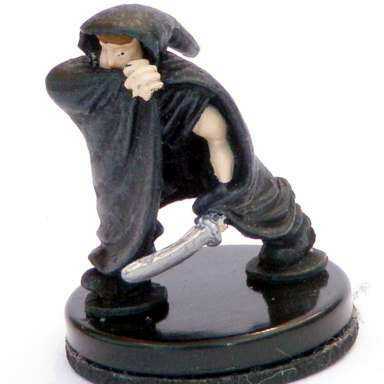 I still loan out the Elf Warmage and other figures for PCs, but I limited this post to foes. With the end of the Dragon Queen storyline, I expect drakes to see much less play. However, the Tyranny of Dragons set offers a Guard Drake that looks imposing. Earlier drakes looked like a pet for the Flintstones. This entry was posted in Miniatures and tagged HeroScape, miniatures, Pathfinder Battles. Bookmark the permalink. 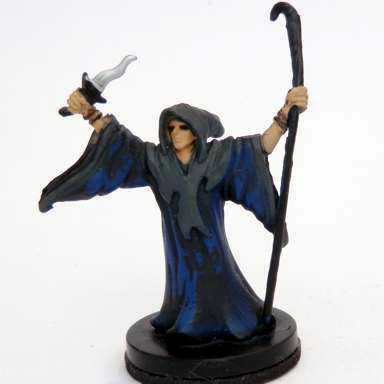 I’m relatively new to DMing, and as a player I would always just run to the local game shop and buy a Reaper mini. 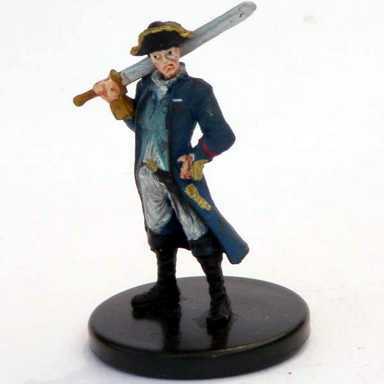 So when you say that I can purchase miniatures on the “secondary market”, could you elaborate? Where are your favorite places online to do this? I’ve purchased from all of the 3 sources Davout names, ebay, http://www.trollandtoad.com/, and http://www.miniaturemarket.com/. Thanks for the kind words and the suggestions. I agree with you on townsfolk and other bystanders. I like to break players of the metagame assumption that ever figure represents someone to fight. A very nice compilation indeed. I love supporting my local game store, but these are some great alternatives. Thanks for commenting! When a new miniature set arrives, I typically buy several of the random boxes from my local store, and then fill any gaps by purchasing singles. This is a great resource! 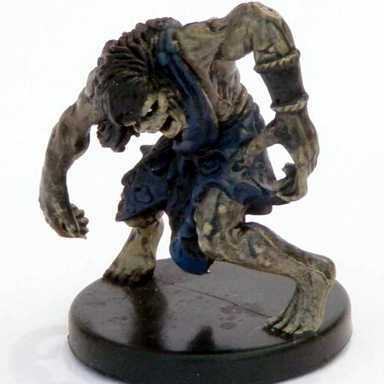 I just started collecting minis from my local game shop and just made my first purchase from trollandtoad.com. The suggestions to fill out the commonly used monsters are very helpful. To start out I went with a handful of random pathfinder and D&D boosters, then picked up some individuals for player characters, lizardmen, gnolls, kobolds, etc. I got lucky to get enough goblins, skeletons and zombies in the random sets that I probably won’t need anymore of those. Hi there — this was an excellent article and introduction. I was fortunate enough to have simply been *given* a set of some 800+ D&D & Star Wars miniatures (and two shelves-full of RPG books) by a friend who was getting out of gaming. I’d always wanted miniatures, but I was a little too abstemious to make the investment. As it happened, the enormous influx of miniatures overcame my parsimony, and I’ve subsequently purchased probably 250 more. Sometimes, it can be advantageous to search for miniatures “lots” on eBay. It’s a painstaking process to research the approximate current prices for particular miniatures, but it’s the sensible thing to do. I’ve made some purchases from folks who clearly did not know the value of what they were selling, and I purchased a fairly large set from someone’s mother who was in the process of painstaking listing each miniature for sale — I observed that she was posting them one at a time, so I sent her a message asking how many she had. When she responded, I made her a blind offer for all of them, and she accepted. As it happened, there were a few large/huge/rares in the collection, and I made out like a bandit; one mini alone was worth considerably more than what I offered for the whole set of 35.
) 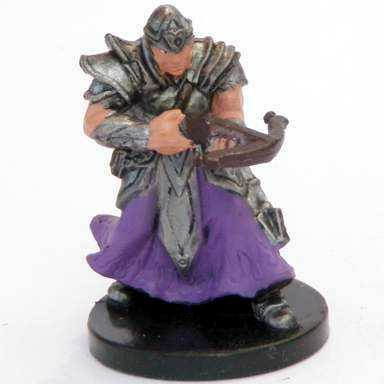 or Mirt the Moneylender ( https://www.miniaturemarket.com/ddwdh-010.html ) in a tavern. (With the Queen, it would also be prohibitively expensive, at $10-13 per mini!). 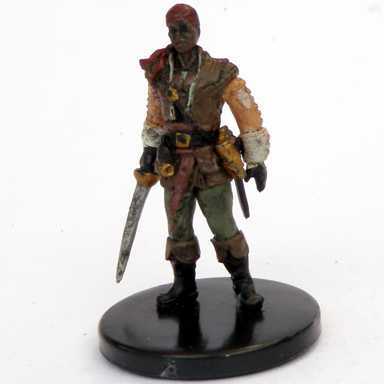 So I’m looking for a source for relatively inexpensive, un-armed miniatures of common folk. I use miniatures as role-playing devices as much as I do for positioning in combat. A scene with the guards at a city gate makes a stronger impression if there are a half-dozen identical minis representing the town watch, plus a sergeant, and a few crossbowmen in the tower overlooking the gate — adventurers tend to be on better behaviour when the *players* see a lot of armed minis of authority figures. By the same token, if there are miniatures of commoners and children on the map when you’re running a street scene, spellcasters are less likely to fire off massively-destructive spells that would obviously result in the deaths of civilians; the visual devices remind them of the consequences of their actions. ( and as an aside, there are *very* few miniatures of children ) There just don’t seem to be many good or inexpensive painted miniatures to represent more common folk. 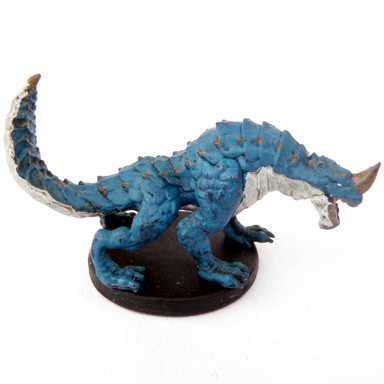 https://www.miniaturemarket.com/wzk72868.html The web reports I have read say that they are the same 28mm scale as D&D/Pathfinder miniatures, but I have not yet seen the set in person. I recently began working on a 007/On Her Magesty’s Secret Service adventure, and want to use miniatures. 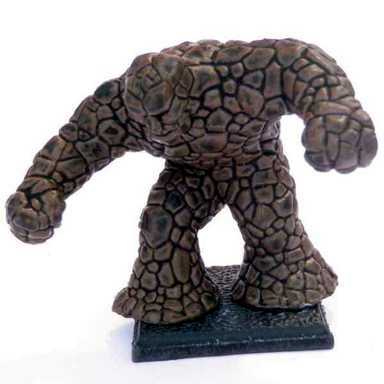 Fortunately, the popularity of comic book-inspired movies has pushed WizKids to release hundreds of heroic miniatures, and while Superman, The Human Torch, Dr. Bong, and Flatman (I am not making the latter two up!) are clearly not appropriate, there are enough miniatures of merely mortal Agents of S.H.I.E.L.D., and Gotham City police, detectives, military, and other individuals that I felt I had sufficient spies, goons, police, soldiers, mad scientists, commandos, pesky journalists, femmes fatale, and arch-villains. I’ve chosen to re-based them, but as a rule, they are considerably less costly than D&D miniatures. Again, though, I wanted miniatures of civilians to get caught in the crossfire, hit-and-run by goons chasing the player-characters, etc. I would have considered purchasing Fantasy Flight Games’ “Premium” Arkham Horror miniature set of human investigators, but it had sold out before I was aware of it, and now, individual miniatures of character from that set sell for no less than $8 each, so they’re out of the running. 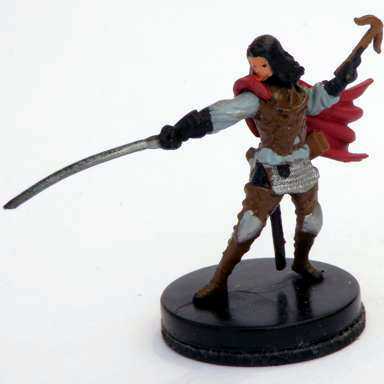 But back to the subject: I haven’t found a source of inexpensive miniatures for medieval- or fantasy-themed commoners/civilians that do not require painting. 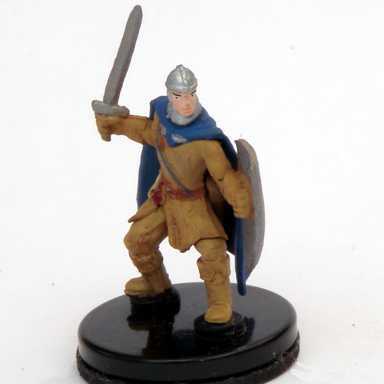 With the exception of the Agricola minis, I haven’t even found an *expensive* set of medieval/fantasy minis of this type. If anyone has some suggestions, I’m all ears. I have to admit that I’m giving some thought to trying to re-paint some minis from an $8 sets, replacing the bright modern colours with the drab ones I would expect to see on medieval/fantasy commoners, but the clothing won’t look right on some, because it’s too modern — most of the male minis have suits, and many of the female minis are wearing slacks or obviously modern dresses. 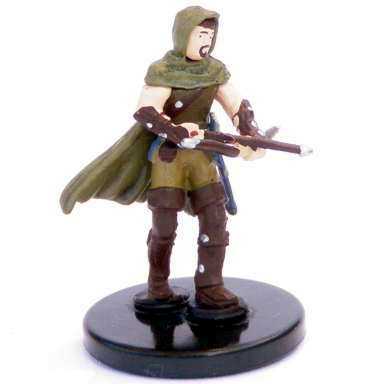 I’ve got most of the commoner/farmer types of D&D/Pathfinder minis. If I get one set of the Agricola minis, I’ll have a good mix of commoners and aristocrats/merchants that my players are likely to actually interact with, and crowds of bystanders who don’t need faces.